Quatrro is recognized as one of the leading Business Process Outsourcing companies and has pioneered new genre of outsourcing services for hundreds and thousands of small and medium enterprises across the US. The company has taken rapid strides over the years and currently services over 130 enterprise clients, 15000+ SMB & SOHO customers and 1,000,000+ individual customers in multiple geographies across the globe through innovative platforms built on the strengths of cloud based and cloud compatible architectures. Quatrro offers affordable and capable services for SMBs by utilizing transaction based pricing model which leads to revenue enablement for our clients. The skill based routing of processes on the "cloud" allows Quatrro to share resources across clients and empowers the company to provide complete pricing flexibility. As a true "Business Transformation Partner" Quatrro leverages its experience as "the pioneers in Business Process Outsourcing" to offer innovative outsourcing solutions which go well beyond labor arbitrage and deliver tangible process improvements to its clients. Our services endeavor to drive performance of our clients businesses and help them grow with sustained profitability, especially the SMB customers. 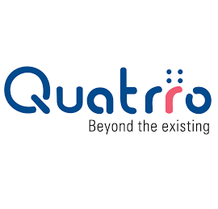 Quatrro is remarkably different compared to most of the other players in the industry where in the focus continues to be on headcount, client technology and processes while our value proposition is primarily centered around "platform / cloud based" services and transformation. 0	jplist-folder-All-Posts-64396 eBook-eBook	jplist-topic-Technical-Support	0	03/03/2016 16:28:54	Your Trusted Partner for Providing Smart & FlexibleManaged IT ServicesQuatrro is a Business Process Outsource and transformation partner providing end-to-end Managed IT Services and Helpdesk Support solutions with a flexible range of Technical Support offerings to Channel partners including Managed Service Providers (MSP's), and other Value Added Resellers. We use a combination of technology and expertise, processes and tools in a multi tenant environment and shared resource service delivery model to ensure that your client's IT infrastructure always performs at its best, cost effectively. Our services range from pro-active monitoring and management to breakfix Helpdesk services covering all elements of the network and devices used by you and your client's organization. 2	jplist-folder-All-Posts-64396 eBook-eBook	jplist-topic-merchant-services	0	03/03/2016 16:13:09	With Quatrro you gain access to innovative processing solutions and indepthknowledge that will simplify the card acceptance process for your business atrates and fees that do not reduce profitability. Our comprehensive suite ofproducts and services that include credit, debit, check and gift cardprocessing solutions are EMV-compliant and thereby ensure safe andreliable payment processing for your business! 3	jplist-folder-All-Posts-64396 Video-Video	0	03/12/2015 16:53:06	Quatrro FPO Solutions is the market leader in providing cost-effective financial and accounting outsourcing solutions for small and midsized businesses across many industries. We utilize best practices to streamline labor intensive processes, resulting in significant cost savings and improved business insight for our clients.